We’d love your help. Let us know what’s wrong with this preview of Then Why Do I Have Toenails? by Thom Phelps. Then Why Do I Have Toenails? 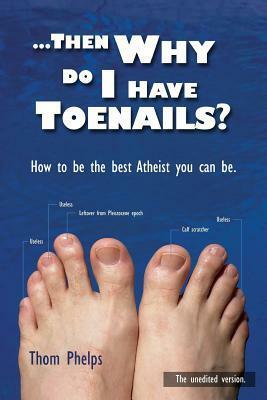 : How to Be the Best Atheist You Can Be. A personal explanation for why the author became an Atheist, an honest appeal against the literal acceptance of holy scripture, and self-help guide for would-be Atheists. With short stories and "doodle time" interactive projects to help curb the fear of crossing the boundaries of sacredness. To ask other readers questions about Then Why Do I Have Toenails?, please sign up. Be the first to ask a question about Then Why Do I Have Toenails? This was kind of a pointless book, with no real substance, and very rambling. But it was amusing.